Once the walls are covered, parents can add murals of sailboats, tugboats, light houses, ocean liners, houseboats, or anchors. Peel and stick wall decals or stencils are another attractive option to help parents liven up the nautical theme room. For parents who want to go all out with the boating theme in their toddler’s bedroom, there are several choices of boat beds that can sail their little guy off to dream land each night. This is one splurge that might prove worth it when parents see the look on their little guy’s face as he captains his bed for the first time. And of course, sailboat beds are often available second hand for bargain hunters at yard sales, in local papers, or on Craig’s List. Folk art in a nautical theme is an easy and inexpensive accent for the walls. Parents can find an old oar and paint it white. With blue craft pain, they can decorate the bottom of the oar with wavy stripes for water and a silhouette of a sailboat. Another oar can be dressed up with the blue image of an anchor. Hanging the oars in a criss-cross over the child’s bed creates a fun focal point parents can be proud of. 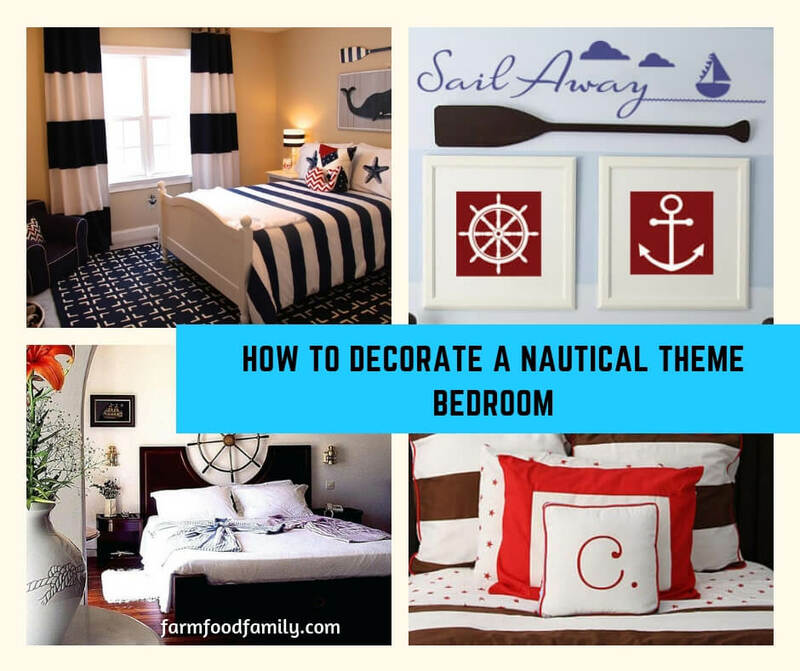 Parents can personalize the room by taking pictures of their baby in sailor suits or nautical theme outfits and displaying them around the nursery. For an older child’s bedroom, building model boats with their child or snapping photos of sailboats and lighthouses on a family beach trip adds personality to the room. Parents can also help kids clip sailboat pictures from a magazine and use these to decoupage pencil cans, chests, boxes, night stands, or desks. Creative touches like these make the room feel special and fill it with happy memories. With a little creativity, parents can have their baby’s nautical theme nursery looking ship shape in no time. And for more ideas, parents can check out ocean, airplane, construction vehicle, sports and fireman themes for their nursery.